Home » Articles » Featured Members » Featured Member: Janeta Fong Tansey, M.D., Ph.D. 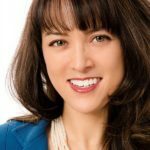 Featured Member: Janeta Fong Tansey, M.D., Ph.D.
My life’s work has been an intellectual, creative, and lived exploration of healing and existential meaning at the intersections of mind, body, and dialogue. Provocative questions in medical ethics brought me to the fields of philosophy and medicine, but it was sitting with patients as a psychiatrist and listening to their life-stories that invited a deeper awareness of the phenomenology of mind and spirit. That wonder continues to inspire every aspect of my professional work today. After the completion of my medical degree at Loyola Stritch School of Medicine, I completed my residency in Psychiatry at the University of Iowa. I have served on the medical faculty at the University of Iowa since 1999, in clinical and adjunct roles, with leadership in medical education, psychiatry, and bioethics. In 2008, I completed my Ph.D. at the University of Iowa Department of Religious Studies, with a doctoral thesis on the moral emotions of empathy and shame as phenomena of ethical relation, drawing from the works of Martin Buber and Emmanuel Levinas. I have ongoing interests and activities in the intersection of Medicine and Religion, and the study of existentialism and existential therapies. I hold board-certifications from the American Board of Psychiatry and Neurology and the American Board of Physicians and Surgeons in Integrative Medicine. I am a Board-Certified Coach and a member of the International Coaching Federation, and I have diplomate training in Viktor Frankl’s Logotherapy. Very importantly, finding the INPM community, and training with Dr. Paul Wong and Dr. Lilian Wong in the 2017 Summer Institute have both been a gift to my efforts to integrate my interests in meaning-centered therapies and to find like-minded scholars and clinicians. At heart, I am an optimistic humanist and I believe in the capacity of human beings to reflect on and grow through their experiences of meaning, purpose, and love. I am committed to treating human shadow and complexity seriously, whether it comes in the form of disease, suffering, death, or mystery, and I believe that true happiness can only be found through compassionate authenticity and courageous responsibility for challenges and choices. Today, in my consulting practice at Virtue Medicine PC, and in partnership with colleagues and institutions around the country, I continue my scholarly activities and collaborations with special interests in Mind-Body Medicine, and Existential-Humanistic and Meaning-Centered approaches to whole-person care. Through clarification and strengthening of authenticity, values, and virtue, my clinical work continues to focus on the care of professionals’ mental-health and coaching needs, with a particular interest in the care of physicians during an era of overwhelming healthcare provider burnout and demoralization.